Disraeli. R.W.Davis. Hutchinson & Co. 1976. I borrowed this relatively short biography from the RDS Library hoping to learn more about the Tory Party’s persistent resistance to Gladstone and his long-term attempts to achieve Home Rule for Ireland from the late 19th century to the beginning of the Great War in 1914. Disraeli was Gladstone's greatest opponent in the earliest days on the Home Rule issue. He was a great favourite of Queen Victoria just as she disapproved of Gladstone and his commitment to Home Rule and his less than enthusiastic support of the Empire. I recall as a child during my summer holidays in the Gaelteacht in Dingle the seomra, the tidy and carefully kept small room in the more prosperous houses of the area with their many mementoes, trinkets, china and gifts sent from their emigrant brethren who had emigrated to the States and the British colonies. Invariably they included pictures or prints of Gladstone and Pope Pius XII. Even in the more impoverished cottages these pictures could be found. The native Irish in these parts of the West had a great reverence for these two men. --- Davis has written a biography of great insight. He does not spare Disraeli – the financial chicanery, the subterfuges or the opportunism. Survival was all to Disraeli. He survived and triumphed and the story of how he did it is fascinating reading. The Disraeli story only covers Gladstone’s earlier years. 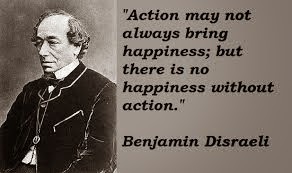 Disraeli was born in 1804 and died at the age of 76 in 1880. His time as prime minister at the head of the conservatives was relatively short. One short period for a year or two, and later about 7 years shortly before his death. There is little in the biography about Home Rule but there is clear evidence otherwise that Disraeli was very opposed to Irish nationalism and was very anti-Catholic. He proclaimed himself a great supporter of the Established Church and was in general against all other persuasions, including Dissenters and High Church supporters. He was born a Jew (his father was Issac D'israeli) but changed with his siblings to the Protestant faith. He did not conceal his Jewish origin nor did he refer to it unnecessarily and he was an exponent of greater tolerance of the Jews in Britain. He was ambitious since youth and well educated, largely through his own studies and through access to his father’s great library. His father was a writer and an academic and was very wealthy. According to Disraeli his antecedents were Italian and of great distinction but there is little evidence to support this assertion. Disraeli as a young man was foppish in his habits and dress; he was egotistical, ambitious and erratic, and was involved in some dubious and serious financial problems due to poor judgement about investment. He had an early interest in becoming a member of parliament and was to say to his audience in later years ‘I love power. I love to live in the eyes of the country'. For the ordinary student of history it is not possible to understand the confused state of the political parties during the earlier years of the 19th century. 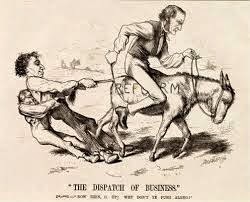 While there was evidence of the origins of the Whigs ( later the Liberals and Labour parties) and the Tory or conservative party, it was apparently only by the late 19th century that the present day more compact Liberal, Labour and Tory parties came to pass. It was equally difficult, at least in this biography, to understand the policies of the different major and splinter groups who were involved in such aspects of the political scene as free trade, Protectionism, Reform, the dominance of the Anglican Church, the Empire, foreign policy and Ireland. 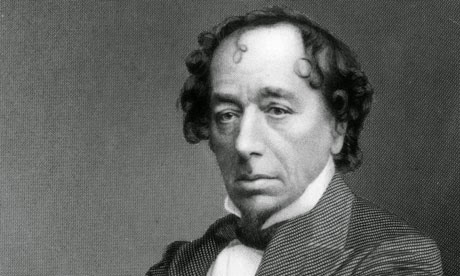 Rather than expect to learn about the politics in Britain during Disraeli's lifetime, it is best said that the book, at least for the casual reader without a great knowledge of the period, is most interesting as a personal account of Disraeli as a man and a political figure. He was first elected to parliament in 1837 and soon came to be admired as a great and stirring orator by some, and not afraid to flail his opponents with his tongue, thus adding to more than a few enemies. He was opportunistic in his policies - he could change his views conveniently when the situation demanded it. As regards Ireland, he was sympathetic with the Irish in his earlier years but he eventually strongly opposed such issues as the financial support of Maynooth and other financial endowments for Catholics in Ireland. However, when he needed the support of the 50 odd Irish MPs his attitude to Ireland could be a little more benign. His greatest domestic contribution to the electorate was his success in alleviating the distress of the poor and the workers who were ground down by the burgeoning industries which were a feature of the mid-19th century. Despite the traditions of the conservatives in parliament, it was clear that Disraeli and his political colleagues and supporters did much to alleviate the underprivileged through appropriate reform of the working and social conditions of the poor. As somebody said ‘political expediency was always his touchstone’ but surely this can be said of many politicians. Another commentator said ‘He was not sympathetic to the downtrodden’. 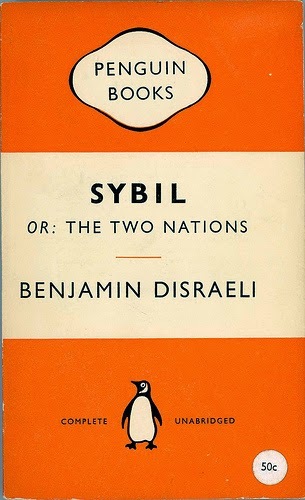 Disraeli had another important career as a novelist. His plots were based on the political and social life of his time and his characters were frequently based on well known politicians, prominent members of the public, other acquaintances and members of his family. It is apparently clear from his characters who were those he admired and those who were his enemies. He was clearly a gifted novelist and could turn to writing a successful novel when he was not too preoccupied by his political affairs. He had a number of ‘best sellers’ to his credit. His personal life was happy after he met and married Mary Ann who was 13 years older than he and who was devoted to Disraeli. She may well have deserved the sobriquet which was famously expressed by somebody who said she was more like a mistress than a wife. Her death some years before him was his great loss but he must have got some comfort from his last ten year association with Queen Victoria who was devoted to him and who had been attracted by his fulsome and sympathetic relationship with her. He did much to alleviate her distress following the early death of Prince Albert. 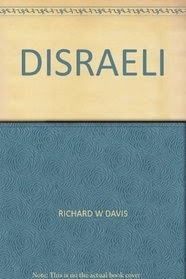 There is an extensive bibliography in the book on Disraeli and his time. 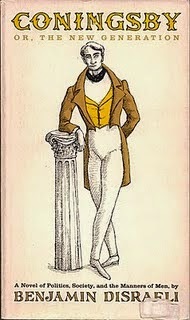 When this book was published in 1976 the most recommended source for scholars was the six volume The Life of Benjamin Disraeli, Earl of Beaconsfield by W.E.Monypenny and G.E.Buckle published in 1910-1920.